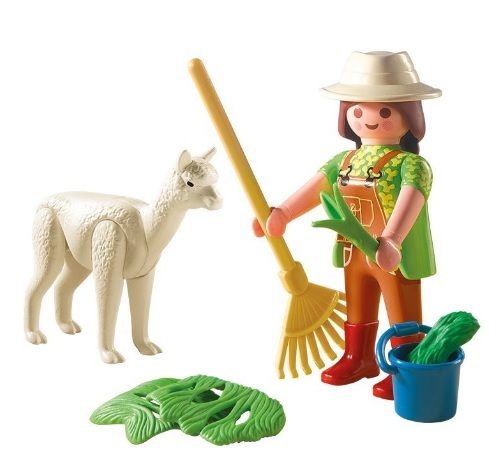 A cute toy set made by Playmobil which features an Alpaca farmer and her baby alpaca cria. 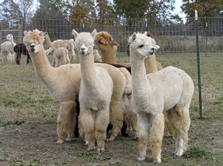 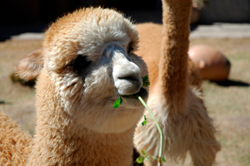 You can help the Alpaca farmer take care of her baby alpaca with the included rake and food. 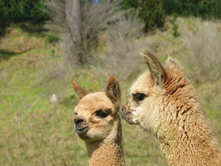 All pieces of this play set can be stored inside the included egg which can also be used as a bank.